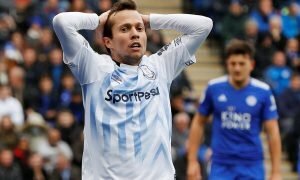 European duo chase deal for Everton winger | The Transfer Tavern | Where football transfer rumours fly or die! Everton fans around the Tavern might be surprised to hear that AS Monaco have are interested in signing Everton’s Kevin Mirallas, according to Liverpool Echo. 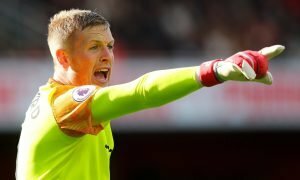 The 28-year-old has reportedly become frustrated due to his lack of appearances this season, something which will make him consider departing Goodison Park during the current transfer window. Mirallas is worried that failing to accumulate regular game time at Everton will hamper his chances of being selected for Belgium’s Euro 2016 squad. Now, the Liverpool Echo have reported that wealthy French outfit Monaco are keen on acquiring the winger. Mirallas has only started in two league games this campaign and he was an unused substitute in Sunday’s draw with Tottenham. It is understood that Everton manager Roberto Martinez is keen to keep hold of the Belgian during the transfer window and has held talks with the unsettled player. However, it is believed that the Merseyside club are unlikely to stand in Mirallas’ way should he demand to leave the club during the transfer window, with several other clubs interested in signing him, including his former club Olympiakos. Mirallas’ Everton future was also uncertain in the summer, although he ultimately decided to sign a new three-year-deal. Our landlord thinks an exit was always inevitable though and with first-team football eluding him, largely due to the impressive form of Gerard Deulofeu, it’s the right time for him to be sold. Everton fans, should you cash-in on Kevin Mirallas? Let us know in the comments below!